Busot maybe sounds less familiar. Did you know that it is just 6 km in a straight line from the coast? By car you are within 15 minutes at the beautiful sandy beach of el Campello (just above Alicante) and you can walk on the beautiful boulevard along this nice coastline. Our holiday rentals in Busot are worth to look at. Go to the heading holiday homes and look at an overview of the holiday homes in Busot on the Costa Blanca in Spain. By clicking on an accommodation in Busot, you go to the extensive description, photo gallery and the availability of the holiday home in Busot. Then you can reserve the villa in Busot. Renting a holiday home in Busot via the website of La Caza, the rental agent in more luxurious holiday homes in Spain. Busot is one of the better known destinations for the holidaymakers from the Netherlands. In the municipality of Busot in Spain La Caza has various luxury holiday homes with private pool. 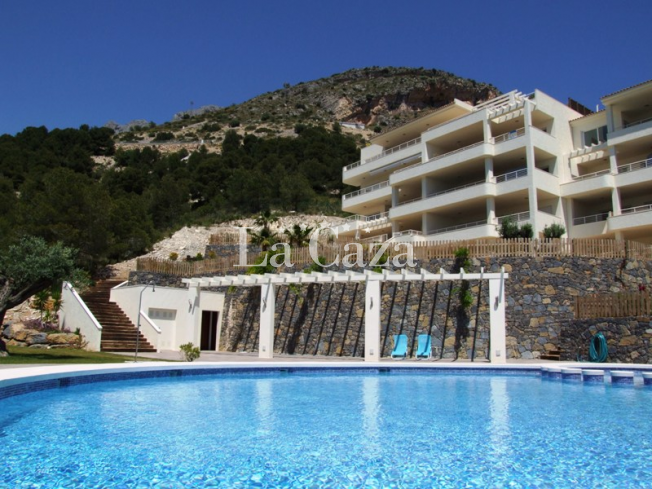 So you rent a holiday home in Busot with private pool at La Caza. Casa La Familia in Calpe.